"The number 1 tool for starting a business"
The ease of use is fantastic. I was up and running in no time at all and have even customised a lot of fields to fit with my business needs. I couldn't run my business as efficiently as I do without this tool. Only dislike is that there used to be a Linkedin clipper app to add contacts. I used it heavily and now its gone because Linkedin updated their platform. MAke sure you use it as much as it should be used. If you enter the data Sell will make your life so much easier. Keeping track of hundreds of conversations with clients is crucial. I use the reminders to help me plan my day. The system literally tells me who I need to contact and when. That keeps me focused on growing my relationships and has led to a successful business. "Great working tools for all of the team." I can easily keep our sales team focused on the highest value leads and deals across automated account rules informed by full-funnel analytics. I like that platform and everything that comes with it. Actually, I can't say that I don't like that platform. I know that it is very useful tools in our company. All of the kind of resource is working well and doesn't consist any errors. With this software will for sure increase your sales group's processes, performance. Always will provide the foundation for control relationships and delivering clients happiness. Wonderful tracking system. I guess it is a powerful help for everyone. We can faster to develop our sales process with Base insights that are simply available to all stage of the organization. All our base integrates with our site and a host of trade automation tools to instantaneously deliver leads to the sales group, while tracking informs prioritization so reps can distribute time effectively. "More features at the same cost you are paying for now"
We tried three other small/medium-business CRM programs but the cost was too high or the features were lacking. 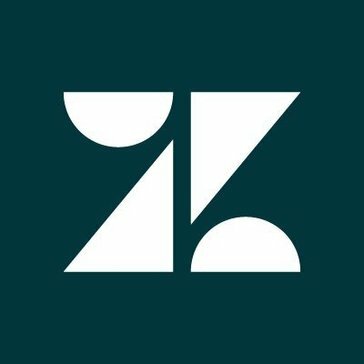 Zendesk Sell offers everything a sale team would need and it integrates into their fantastic support tools with little to no effort on your part. Lack of funnel reporting with entry level plan. Try it out with the integrations. If you are going to do a trial then you should try out all of the features. We didn't use the mobile application or mail integration until after the pilot period but they make your data entry a simple painless process. Customer relationship management. No more looking through your email to find important information and the team is able to communicate non-verbally reducing the number of meetings required to pass information. Base allows for any permutation filtering options for any of your leads in your system. It's incredibly easy to pull a list of whatever data set you need to help see where leads are in the pipeline. Deals and contacts are quite separate outside of sharing a connection. It makes pulling contact information based on where their deal is in your pipeline a bit of a hassle, but easily traversed with a couple vlookups. Additionally, it would be wonderful to export Smart Lists with First and Last name separated out! Make sure your custom fields, sources, statuses, etc., are all clean and solidified when you start using the product. While it is easy to batch update things, it is a tedious process. That being said, the support team is always willing to help problem solve and make sure the product works how you need it to work. They are absolutely wonderful! Pipeline management and lead management. Before Base it was difficult to keep track of a snapshot of your current pipeline, and Base makes that not only easy to find, but visually easy to digest as well. "Wonderful system for everyone. Easy to use it. " With this platform, I can use all tools which will help me and my team to control sales our business. We have everything you need to succeed. I contact across smart tools for emailing, calling and much more. I don't have a lot of bad issues but I would like to have all my working process more organized. All of the rest of this program works right and suitable for all of us. I guess it is very wonderful software with a great opportunity for business. Here you will found everything for marketing goals. Also, you will be more close to your clients and you will see how fast you can create a productive steps ao sale. The better way to provide a good way of sale. Also day by day we are working with a powerful controlling system which really helps with the trade. We are care about clearance at our work which will give the opportunity for our a customer to get what they need. I can have several contacts in the same company and have them related to another deals. Sometimes is too slow when i need to have more than one opened. * When creating employees from an opportunity, also indicate the Level of responsibility and Areas of responsibility / work as well as Name, Last Name, Work Number, Position and Email Address. * Being able to indicate with a click from a company or even from an opportunity that the e-mail has been sent. * When selecting in the drop-down phase of the opportunity (from the opportunity): Lost, being able to indicate: "Reasons for the loss", "Closing information" and e-mail sent. * In create task; that the calendar is not monthly, that you can see more continuity and not have to click the date to see the next month. * When we receive an incoming call that appears the contact and / or the company or opportunity to which it belongs. Managing several deals with base, being sometimes related between each other. "A flexible CRM that can grow with you and adapt to your needs"
I really appreciate how well Base adapts to different uses and how easy it is to get useful insights from our data. They are a very focused company that has always taken care of us. 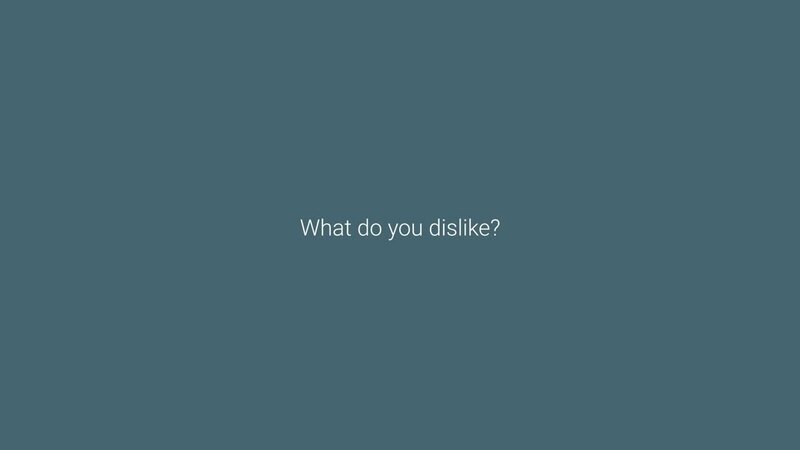 There are not many things to dislike. There are always more things I'd like it to do, but that list has gotten smaller over time and I'm confident that will continue. That's all I could reasonably ask! The setup process is simple and quick. It's worth seeing if Base will work for you and if you think it won't, it's likely worth reaching out to Base support to see if there is something you're missing. They are very helpful and try really hard to get your issues resolved. We use Base to track customer interactions and manage/facilitate follow up to close more deals. It's been great on the sales side as a useful tool, and it's been great on the management side for the analytics. "Excellent CRM and Sales tool!" I do not like how the top right search bar has a dropdown smart search not in chronological or any known order. Overall the search bar is not perfectly functioning which can be somewhat frustrating. CRM and communication with customers and businesses among all members of our company. "Very clean and easy-to-use platform for sales teams"
This CRM has mostly everything I need, with the exception of a few features. Emailing within Base, tracking emails, leaving notes, setting appointments, importing and exporting are all key features that are easy to learn, use, and teach to new sales staff. I have used products in the past including pipe drive and hub spot CRM, and Base has so far been my favorite. I really like the new look and feel that they recently rolled out, and it has made sales management even easier than it was before. Very happy with most all the features. I wish there was the ability to tag people in deals. When working collaboratively with another member of the sales staff, it would be nice to have the ability to tag them inside the deal to draw their attention to something or remind them of a task without having to utilize our external team communication platform. This is a constantly recurring review on feedback boards, but Base support refuses to change it after years of requests for some reason. Definitely the best CRM I've used. Streamlined sales coordination. I like having one place for all my leads, contacts, and deals and the ability to convert them when they are ready. We are able to very easily pull up reports and filter them according to time line, sales person, date range, etc. and see in depth reports. We like being able to measure our success and make changes and learn from our mistakes as well. "Increased communication and transparency, plus decreased manual work!" When we went through our vetting process for finding our next CRM/Sales system we had a long list of things that we needed to see to be bought into the program. That included a clear way to get sales conversations to the sales team, ability to create targeted lists for sales efforts, transparency for anyone on the team to review a client or deal and know what is happening, clear vision of the current and future sales pipeline, ease of use for the sales team to cut out manual entry of information, clean hand off once a deal is won and needs to move to the next process and easy-to-pull reports to review different KPI's that are important to our team. When we went through the demos with Zendesk Sell they were able to clearly show case all of our needs and how certain integrations with systems that we currently had in place were already set-up and ready to go. While our team thought we'd never find a system that would be able to effectively check off all of our needs, Zendesk Sell actually did just that. The hardest adjustment for us has been the change of mindset from Leads to Deals. It's hard for us to manage Leads in one area and Deals in another while our past thinking had always been in the same area. We have two areas to manage now when looking at our sales conversations instead of just one area, but that is something we're learning to manage more effectively with tasks. Be very upfront with what your sales process is so they can show you how their system will fit that and support it. Make sure you are open to understanding certain reasons they set-up the system the way they did as it might help improve your current sales process. Really work through your firms needs for the system and what you're looking for. Be upfront with Zendesk Sell so they can let you know if they can accomplish those needs or not. Similar to what I outlined in what we like best, Zendesk Sell has allowed us to find a system that everyone on our team can easily access and buy into. It has decreased the amount of manual work that the sales team has to do for each deal and has increased our ability to really see all the conversations that are happening throughout our organization with our clients and prospects. Our deals are being moved forward much quicker and we have an accurate picture of the current and future sales pipeline for each of our services which helps us to focus our prospecting. "Base has saved our company so much time!" Base has made it easy for our sales team to streamline communication with our target audience and to effectively organize them in stages, saving us a lot of time with our clients. The ease of calling, texting, emailing, and updating notes from one "contact page" has truly revolutionized our process so that if used effectively, we can map out where each client is at each step of the process. As a manager, I have had an easy time viewing my team's progress and tracking our deliverables. Sometimes there are functions that don't update quickly or efficiently and cause hiccups in our process. One example is that I will oftentimes need to refresh the page once or twice before I am able to send a certain message. As at least a starting point, Base will prove an effective ally in sales and working with specific clientele. Base has allowed more fluidity into our workday and it saves our team a lot of time. Enabling us to save specific templates, create call lists, and email specific groups allows us to devote more of our time to the actual conversation with the client, and creates a more authentic partnership between us and them. "We use BASE to manage all contacts, prospects and clients"
I like the up to the minute updates across our organization (we have 3 offices/cities), the format/interface, being able to customize fields, great customer service, regular updates and improvements to the interface/service showing that BASE is forward thinking. There is some functionality (or lack of) we find frustrating. The top 3 are not being able to import information based to a contact's unique ID number, the inability to mass update contacts additional fields (like you can mass update tags) and the integration with Mailchimp being very limited (can't remove a contact from MailChimp without unsubscribing, can't see any email sends or stats). Having a transparent work flow, especially when it comes to sales, allows us to have productive and positive interactions with our clients and to work well as a team in that people can jump into a sales process and see what has been done/said in the past, we can easily transition when employees join/leave, etc. "The best service + easy-to-use product"
The ease of use and simple UX. We were also able to filter multiple queries with no problem. Our entire team enjoyed being able to jump in to use without having to go through hours of video onboarding. Nothing that I found. For a CRM, the simpler, the better. I've used about seven or eight different solutions in my past and this is my fave to date. Give yourself a full workday to upload your existing data and to get familiar with the process flow. It's super easy to get used to. The buttons are clearly marked, but do the work ahead of time to determine how you will set up and dub your funnel. This one step will save you tons of time, guaranteed. We needed a single source of truth for all of our prospects, hosts, and active stylist users. This provided us a very easy way to segment based on user type and engagement. Great, simple product. We highly recommend, especially for teams that are migrating away from a Salesforce IQ instance or from Google docs. "We are working effective and fast." With ability good and helpful tools in my working routines, I can easily create a productive strategy. More good communication with my clients. The open and clear way to give skills to new users. The rights to track details or calls. Easy to have contacts of the profile. I see how the solution works for our company an I would like to say that it is really good to work with. Sometimes need time to make all organization at right format. Not so strong and bad cons but will be better to update it. It helps us to work on our working trade. Gives the ability to make better and to grow sales in our company. Always we have a strong heand to manage sales deals. Ability to get important from the conversation. And be sure that client will have what exactly he needed. "The CRM that brings value to sales reps along with value for management"
I did not do research on CRM systems for a long time, so I don't know if Zendesk Sell is the best one. Zendesk Sell (formerly Base) is a CRM for our couple of people strong sales team. We use id desktops and mobile. "Best CRM for a small business and I tested many"
This CRM has everything I need, including a solution for targeted, personalised emails. I love the way you can tag very easily leads and contacts, individually or by group, and then use the tag as a filter to send targeted and personalised emails. They do limit the number of daily emails but there are plenty enough for regular CRM acrivities. I also LOVE the way they track emails and cell calls to the leads and contact profiles. So when you check a contact you have all their info, including the exchange emails and the date/time of your calls. - When I make the mistake to classify somebody as a 'Contact' I have not found a way to move the Contact as a,Lead, to clean uo my contact list, except for deleting it and create a Lead. - In the email campaigns,,I'd like to have add a c.f.. But I have been very impressed by the regular improvements made by Base CRM and I woukd not be surprised if they correct this in the near future. I need integration with LinkedIn. But LinkedIn, unfortunately are not letting that happen with third parties. 'Leads' are for people you don't know well: You want in 'Contacts' only the people you know, deal with or want to deal with. ''Deals' when you have a deal under negotiation. Just standard lead generation and contact management of a,small business. "Networking and Sales combined in to one!" Base CRM allows everyone in your company to be on the same page when it comes to current sales projections. One of my favorite features is the fact that you can update info to your timeline, such as "Closed project on 10/29" and your fellow business employees are informed and updated. The cost of Base CRM can get a bit pricey. Each username is an added cost, there is ways around it if everyone in your company has access to your username/ password. With Base CRM, everyone is informed and in the loop about a specific project. At our company we use Base CRM to keep all head personnel in the loop regarding the sales log of a current project. We update Base with the date we reached out to a client, so that we are not bombarding the client with follow up emails. Base allows everyone to check when was the last time we followed up on a project, so that we are not over-saturating our customers with follow-ups. Superb for small to medium-sized teams that want an easy solution for keeping track of client communication. Integrates with most email clients via API or IMAP. Gmail integration to be refined, you can currently only use your username (main alias) as your sender address, and cannot set any other aliases. "Simple enough to use and has met basic expectations, getting better as new features requested added"
I like that you can easily organize your tasks related to the you are serving clients and customers that I am serving. It is especially helpful to be able to assign tasks to my colleagues related to the clients that I am specifically working with If needed or they are able to assist me. I very often find myself wanting for a specific feature or application that is not supported by Base. For example their email integration does not work with Mac Operating systems very well. They have an option for you to put in a request for a new feature, but this is often a very slowAnd not guaranteed to be successful. The business problems that we are solving using the face customer relationship management tool is Keeping track of and coordinating our interactions with clients, leads and prospects. The system that we are using before base was slow and clunky and not as intuitive. The benefits that we have realized that by using the base CRM is TimeMoney and energy that we you would have spent organizing and coordinating around outreach efforts.
" 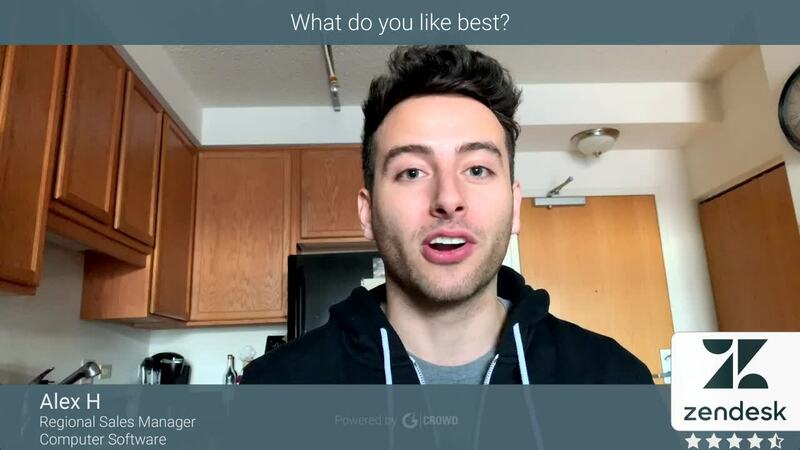 It is a useful tool to work"
What I like most about the tool is that it allows you to connect opportunities and contacts easily. One of the things that I like the most is that now it is much easier to create groups of companies than before. What I like the least is that it only has two fields for the phone and email. I also do not like that the notes of the opportunity do not set the information above all to see the note at all times, always be down and impractical. "Smart email integration and easy to use interface"
Automatic email integration is my favorite feature; being able to see all correspondence with a lead or customer in one place is very helpful for conversation tracking. Added bonus of sending emails from within Base provides read receipts. Like the customizable funnel and deal milestones. Logically organized user interface: intuitive and not too sprawling. Tasks with email reminders are good prompts. Tasks could be integrated with Outlook calendar to get calendar prompts instead of email prompts, but not a critical issue. Sometimes completing a task does not imply that I am done with that lead. Could have a simple prompt or check box upon task completion asking if a follow up is needed (thereby creating a new task). Would be nice to have a status tracker for all leads rather than simple alphabetical list. Could show dates of all touches, whether touch was phone or email, to-do items and due dates, etc. Essentially an editable view that would replace spreadsheets that I currently use (in addition to Base) to track all outbound activity, such as cold calls and follow up emails. Keeping track of correspondence with all leads. Strong ability to reference previous dialog before contacting again. Good reminder system with the task function. "Excellent platform, easy to use!" The visual presentation of information is easy and straight forward. It only takes a few seconds to understand how and where everything is put so it is easy to find later. It really is very easy to use. The way the e-mail set up works is it syncs all e-mails to a contact and it shows up across all areas such as the person's contact card, the deals they are associated with, and within the company contact as well. I wish there was a way to have e-mails attached to just the deal they pertain too. That would be a game changer. Take advantage of the support they provide. It really is good, helpful, and they react well to recommendations. Keeping the team up to date with the latest information without having to use excel or e-mail. It makes it easy for a new member of the team to see where all of the information is without even a moments down time. "It's been an easy system to use!" How user-friendly it is, and we really love the price of the product. Also, the app is great to use as well. The fact that we can hold our clients information along with their orders in the same spot is really helpful to us. Our team is able to function well. We only use the base version of it, and it really works for our growing business of $1.2 million in sales a year. There are many more features we could use, but love how easy to use it is. It isn't as professional as I would like. Also, the Email connection lags behind too much to utilize. Better integration with other Apps. Keeping track of our current orders, and using it to follow up with clients through Tasks. I am better with communicating with the clients through using Base. I also love seeing how well the Calendar works with my emails. "An incredible platform that must be expperienced to be appreciated"
It offers everything I am looking for - and more. The mobile app is unparalleled, allowing me to quickly enter calls, create tasks related to deals and quotes, track and log my emails, texts and calls, see what I have on the go, create new Leads, and so much more. The app alone is by far the best mobile experience I have had on any product like this. When it comes to the overall experience, the customization was key for me. I was able to quickly setup my own pipeline, create custom fields for clients and deals in relation to the services I offer (vehicle information, documents, etc), and integrate it directly with my Google Contacts and apps, so everything stays fully synchronized with my phone. Seeing all the information on one screen - including deals, leads, communications, documents, tasks and notes - for a single customer, makes getting information I need take much less time than I ever imagined it could. As a small business owner, and before moving to Base CRM, I had never fully understood all the major benefits such a platform could provide to me and my service-based business. In the past, I had used more traditional methods of keeping track of my clients, such as: pen and paper, setting alarms on my phone, and trying to remind myself to consistently check in on my emails, social media accounts, voicemails, and even text messages. However, I slowly began to see issues arise when I would forget to check in on an account, and would therefore lose a potential lead or client. Over the course of 3 months, I had lost over an estimated $3000 in revenue because I had either forgotten to reach out to a lead, or get my client the information they had requested. Not only this, but the frustration was growing for me in the fact that keeping up-to-date with all the various forms of communication I was having with a customer was hard to track over multiple platforms. This is when I realized that I needed help. Some of the products mentioned above performed well in some areas, but lacked in others. Some had more features that I required, while others didn't have some that were very important to me. Finally, I had found Base CRM. It offered everything I was looking for - and more. The mobile app is unparalleled, allowing me to quickly enter calls, create tasks related to deals and quotes, track and log my emails, texts and calls, see what I have on the go, create new Leads, and so much more. The app alone is by far the best mobile experience I have had on any product like this. When it comes to the overall experience, the customization was key for me. I was able to quickly setup my own pipeline, create custom fields for clients and deals in relation to the services I offer (vehicle information, documents, etc), and integrate it directly with my Google Contacts and apps, so everything stays fully synchronized with my phone. Seeing all the information on one screen - including deals, leads, communications, documents, tasks and notes - for a single customer, makes getting information I need take much less time than I ever imagined it could. Overall, it may have taken a while to find the right solution, but I am glad to have met Seth from Base and have him keep in touch with me - encouraging me to fully utilize their system on a trial-basis. It wasn't long after that, that I had decided to sign up for the full experience, and haven't looked back since. I want to thank Seth, and the entire team at Base, for making my life easier. The stress it has taken off me alone is worth the small monthly cost, and the abilities I have on the go is par-none. Don't over-do your search. Figure out what you really need, and don't set your expectations to be unrealistic. My original plan was to find a system that handled quotes, invoicing, customer relationship management, time tracking, service calls, and the works. At the end of the day, I had realized I actually did NOT need all of this, because Base so well handles the core components (and more) of running a business, that I did not have to pay for a product I really could not afford. On top of this, once I fully saw the potential of Base and the way I was able to manipulate and customize it for my specific business, I was able to modify my own processes to become significantly more stream-lined - saving me time, money, and allowing me to expand my business. Know where your problems are - and address them. If you're like myself and have potential clients contacting you from various sources (email, phone, social media), then having a platform such as Base will be your new best friend. If you feel your processes are taking too long, or are having issues remembering tasks to do for a client, once again - Base will be your new best friend. The mobile app is so easy to use, that when a lead or contact phones you (or vice versa), the app automatically brings up any deals you have on the go with them, and also pops up a screen at the end of the call, where you can quickly choose the call outcome (customized, of course), and add any applicable notes. The way it helps streamline processes and advance overall efficiency is incredible. Take value in support. On top of all the features Base already provides, their support is above what I have found elsewhere. You can expect speedy responses from the support staff, and consistent - but never overboard - communication from the team on the latest updates, features, and overall news. This all comes together to create an environment where you, as the customer, truly feel appreciated for your business. Again, I would like to thank Seth and Base as a whole for their continued support for me and my business. Your solution proved not only to be the most feature-rich in it's application, but the experience itself is like no other. You've done a fantastic job at developing a product that genuinely addresses real-world problems for business of any size and any nature, and is something that I know myself - as well as many other customers of yours - truly appreciate. Currently, I had had no major problems with Base. I do hope that there is future integration with platforms such as Quickbooks Online (as I use that currently for my quotations), but using a service such as Zapier - which Base integrates beautifully with, works that out. - You will not find a more easy to use, feature-rich app. It speaks volumes that I actually look forward to going into the app to read or enter information - the user experience is that incredible that it makes the whole experiencing simply exciting! - It's not just a CRM. It handles the entire pipeline of Leads, Deals and Clients extremely well. You can create a custom pipeline to suite your businesses means of operation, and also create custom fields designed specifically around what services or products your business offers. For example, all my clients and deals have vehicle information tied directly to them, as well as an indication if they are a member with my company or not. The Overview page gives you all the information you need on where your business is currently, and where it is heading. You can see the current projected revenue based on deals and leads, see what deals are hot and on the go, quickly see what activity has been taking place recently, and more. As mentioned in the first section of my review, I saw the biggest gains in productivity, efficiency, and most of all - an increase in my ability to communicate reliably and with confidence to all of my leads, past, and present clients. One major issue I had before Base was being able to efficiently keep in touch with clients, as I was being contacted through several sources. Being a small business and working another job on top of that, this meant that I had a LOT of reminders to keep going. Base offered the best mobile experience to quickly enter in reminders, create appointments with Clients (which invites them! ), create quick tasks, and easily log and track my calls with notes attached to each of them. At the end of the day, the way it helps me automate and streamline my business life has significantly reduced the stress and workload I was previously undertaking. On top of this, the reports are fantastic, and I am sure even better on higher levels of subscription. With my service-based business, one feature that really helped me was the Custom Fields - you can have Custom Fields for Customers, Leads, Deals, etc. So for my vehicle detailing business, I am able to quickly link vehicle information to a specific customer, a specific deal, lead, etc. I can enter in all the information I need, upload inspection forms, etc - and see it all on one screen or on the go at any time. What more could I ask for? of the data and the large amount of data and areas that can be covered. I do not like to switch between screens, between opportunities and contact data and company data. Enter so many fields and have to copy and paste continuously. I liked the user-friendly interface in which it's easy to add shortcuts and contacts, individually and in groups. Tracking of e-mails and calls to contact profiles at the highest level. Therefore, when you check the contact, you have all the information, including the exchange letters and the date/time of your calls. I liked that you can use a 30-day free trial with a full-service version. The only problems that I encountered using the service were incomprehensible details in the interface. This service has rich functionality that helps keep track of current and potential customers. It is so easy to work with this great tools. An excellent platform for increasing sales. Good control over the sales team. Excellent tool for contacts by e-mail and calls. I really like the filter options. This allows you to see the people you want to contact and help be more productive. Nothing I can think of. Some of the reporting doesn't apply to our industry so not many of the reports are very useful. If you are managing many accounts, or working as a salesperson Base has to be one of the best CRMs available. The layout is clean, the functionality is there, and the support team is great to work with. I am solving a very common problem of lack of production using Base. With the ability to create tasks, set reminders, log calls, take notes it is almost impossible to not have the production you're looking for. "Suited us for a while but we outgrew it"
We used base at our company for approx 3 years. We loved the mobile integration with our Android phones, and being able to take notes quickly on-the-fly. We still use some features of this today, but only on the free account. We eventually outgrew the features of Base. We never could customise it how we wanted it and just generally grew tired of the shortcomings with how we managed client data. We were using Base for all of our Customer Relationship Management. "Best CRM for the Money"
What's not to like? It keeps you organized, it helps you manage many accounts and keeps sales going through the process. The layout is wonderful and the technical features like knowing if your clients have reviewed their e-mails is a great feature. No opportunity to add in a client photo for their lead/contact in BASE. I have worked with Sales Force, Delphi, Act, Goldmine, Microsoft and BASE is equal or better than some of these and the price is less. Great product, great value. Again it keeps me organized and I love the mobile app. Such a great help and the ability to click on a client address in BASE and have it open the app, WAZE, is perfect. Base CRM's best feature to myself and my team members is certainly its ease of use. Having no experience with a CRM prior, this was the optimal choice. Our biggest dislike when it comes to Base CRM, which may not have anything to do with the software itself, is the additional $20/ mm that we need to pay through a third-party application to push client information from Base CRM to QuickBooks Online. Make sure you compare apples to apples with other CRMs. There are many out there, but so few have the ease of use and beautiful user interface. We have a great deal more organization now when it comes to client relations and communication with the addition of Base CRM. Prior to Base, we relied on separate channels for record keeping or client relations - Text apps, mail apps, etc. "A good program to keep control of everything." Perfect that I can make a strategic and stronger to give a help to my company. With this way, I can have more opinion from my customers.Great tools for my work. Very nice solution to have for the company. I like how it's work.Very easy to use. Also, my workers are happy with it. We don't have a problem with it. I like it. As for me, I like that platform. Very powerful tools. Great in connecting. Makes my work more organized. Also will help with sales. I recommend it. Very nice to have. Great platform for increasing sales.good control of sales working team. Great facility for contacts through email, calls. Makes our days easier. Nice to use it and work with it. The thing I like the best about Base is that it is so easy and intuitive to use on a regular basis. It makes it easy for me to see where a client is at, at any given time with ease. Along with this I love that Base allows you to know what is best to do next for that client and not just taking it as guess work. The only thing that I dislike is that I do not have it integrated into our in house system where we also track some information about our clients. I wish that Base had their own call ability within the program that we did not have to source and integrate with someone else. It was a little bit of a learning curve as well but was not anything that was not doable without the help of your support team. We are solving the problem of not knowing our contact rates before and now we do! Another benefit is that it has allows us to be able to see how much our total pipeline is worth which is a huge deal to us as well. You can have all your contacts perfectly related and connectec, including the companies in which they work and the opportunities related to them. In orden to discover companies duplicated or with same phone number, a multinational with several companies, takes a long time to fix and express that situation. The notes should have the option to be fixed if there are important to us. I would like to have fixed notes in every contact, company or person. The fact that several companies are related and we can discover the relation with the phone number o the e-mail and having not only having access to my actions, buy also the actions of my partners in that company. What I like best about Base CRM is the tagging feature + being able to write out tasks. I absolutely love this product! I would definitely recommend to a friend. I like how it saves us so much time! What is dislike is that there are sometimes some glitches that occur. For example--where more than 1 employee is assigned a contact/lead/deal. However I have had a great experience with the tech support staff on Base and am very grateful for the immediate helpfulness. It's a great option. Look at the website forums and all the videos Base has to ensure if it's a good idea for your company. Essentially, the biggest business problems we are solving revolves around time management. We are able to reach out to a lot more leads/contacts/deals in a timely manner. I love being able to insert templates into emails and to mass send those emails- what a game changer! The main benefits have been related to working smart and streamlining our processes. It's easy to use, it make my work more efficient ! What i prefer is the smartlist, it's so efficient to export all my deals on excel to make stats. Base team are a very focused company that has always taken care of us. In general, it's works pretty well for me . After 2 or 3 days i was really confortable to use all the functions. Their customer service is very responsive and helpful. While they cannot always resolve a problem immediately, they get back to you within a day (and typically within hours) and try to be as helpful as possible. Compared to several other CRMs I've used, Base certainly seems to care a bit more. Like all CRMs, there is no single one that comes without it's drawbacks. The biggest thing I dislike about Base is the lack of integration across their systems. For example, they have exceptional tracking capabilities with outbound emails but there is no easy way to then funnel those (in bulk) into a follow-up email. Determine which features are of vital importance to you and your organization to see if Base fits those needs currently. If they say it's 'in development' proceed with caution as it will likely take much longer than anticipated. Base allows me to keep track of who I reached out to and when. It also provides the functionality to set reminders and check in with my team and/or collaborate. "Base review VP of Sales"
Would like to be able to make my own goals to track (Calls, Sales). Also, have different sales teams, would be nice to customize their goals to each one. Would like to see all of their goals on one screen if possible even though different sales teams. Also, have sales people calling different types of leads, clients, sales, need a way to differentiate the calls so when it comes to reporting I can tell which type of calls my sales team is making, There might be a way to already do this, still learning the system, so if there is I apologize. Support team is very easy to work with, usually quick to respond and help out whenever you need it. Only thing is customizing goals, I came in as VP of sales after it was already implemented, previous goals and forecasting isn't relevant with goals I am trying to establish, so trying to figure out a way to have better tracking for my team when it comes to goals assigned. Also, lead multiple sales teams, selling multiple and different products so need to be able to establish goals based on different teams, but still be able to see all reports if possible on one screen. Call logs and times. Saw too much time on service calls compared to sales calls from sales team. The customer service is great. The Base team cares about our feedback and is always trying to improve the product. The user experience is constantly trying to be improved. I also appreciate the fact that the CRM remembers the features and settings you had used last time you opened a page. This allows me to save time. The product does not offer enough integrations with other platforms and makes it quite complicated to export valuable information in a user-friendly format. It also seems complicated to adapt the product to our company's reality. I recommend you take the time to think ahead of all your needs and spend enough time benchmarking different CRMs. Base allows to track all our communications with our customers, identify our deals and keep an eye on our pipeline. It also allows us to keep track of customer feedback and personal notes leading to having better relations with our clients. Base allows you to facilitate a wide array of outreach, ranging from conducting and tracking calls, texts, and emails to customers. Love the fact ease of having all of the customers contact information in one place. Very simple to conduct out reach. Upon conducting outreach the resulting pipeline is very straight forward and organized. May be useful to have more ways to tag and qualify customers, but at present satisfied with the capabilities of Base. Also, our support at Base is awesome! Very responsive and helpful. Sometimes data isn't pulled appropriately/data is recorded in very strange ways. Frustrating when something worked one day but then another day everything goes completely wrong. After using the CRM for about a year I still do not understand why this happens. Finally, sometimes there is alot of confusion when multiple tabs on Base are opened - in particular when you are on a call and then another call comes in, Base really doesn't allow the user to solve the problem (i.e. constant ringing). Efficiency and ability to accurately track data. Really nice to have all the information complied in on place. Finally, as I previously stated, cannot imagine how I would move forward with pipeline management without the structure of Base. Really does allow for effective and efficient management. "Next generation of sales management"
Easy to use and set up. It is amazing what you can get from so little effort. It covers 360• of customer interaction so there is no room for fake stories or salee people making misterious efforts without outcome. A few BUI instructions cone back with graphics in a different place so you have to wait until the screen has been loaded to learn where to click. Also, a glossary would help for those new to the industry. Don't be afraid of looking into something different than the top of mind. "Straight Forward & Easy To Use"
Base's user interface is straightforward compared to some of the other CRMs on the market. This allows new users to quickly adapt to the system and hit the ground running with minimal training. As with most subscription based CRMs, the more you spend a month, the more features you get. As a startup or new small business, some of the features available for higher subscriptions would be nice to have included at all levels. For a baseline CRM, Base is a great option. With features to grow into, an easy to use interface, and the ability to integrate to email and quickbooks, Base is a great "base" to start from. Being able to track sales, keep a data base of clients, and monitor the sales funnel in one spot is done through Base. Fast, intuitive, mobile, adopts easy, customer success support, ability to adjust system to meet business needs. With most of our staff on the road and away from their desks, the mobile version of BASE was very important and well received. It was by far the best we've seen during the CRM vetting process. The metrics were what we needed and the smartlist features are extremely helpful in our day-to-day business. There are no issues with BASE at this time. The BASE customer success team is the best in the CRM industry. They are very knowledgeable and quick to react. The mobile version and desktop version are nearly the same which makes adoption and usage success easily obtainable. We implemented 60 years of history quickly and it became very well organized. The collaboration and visibility across different segments of our business has been well received and beneficial to all. The metrics available easily fit our business. The ability to also change and manipulate the system is very helpful to the business. Mobile access, easiest, most intiutitve CRM tool I've ever experiences. Everytime I show my colleagues how to use the program, they marvel at how easy it is. Additionally, I can create custom reports simply and the few times there's been an exception, the Base support team is readily available to support us. Notes field cannot be queried/reported. And the Standard Reports aren't able to be customzed. I'd love to use some of those Custom Reports as a basis for my Sales Reporting, and add a few key fields which our management team would like to see. Not available as of yet! Definitely do a demo, keep your criteria in mind, and let Base rep show you how they can meet your needs. Have to say, the support we got in migrating data and customizing Base for our firm blew me away - fast, efficient, worked day and night to get us up and running, despite difficult data migration from ACT. Able to quickly report on Wins, Proposals, Sales Activity. Benefits we've realized is a lot more INSTANT transparency across our organization which cuts down on phone & email back-and-forth (less bite into productivity). "Base is streamlined, easy to use and customize, and works well for real estate"
I've used a ton of different CRMs over the years for real estate, and Base is easily the best - thus taking the time to write this review. It's very easy to customize and set up, and I've been able to bring basically all of my activities into one platform with it, from calls and emails to deal tracking and monitoring closings, setting reminders for due dates on paperwork etc. It's easy to track leads, clients, and closings all in one system without too much thought on how to make it work and without getting them mixed up. It also has a fully integrated phone system and dialer, plus an email and text message integration, all of which automatically log any calls, emails, or texts sent or received from leads in the database. This saves a lot of time in writing notes, as well as making sure the information is transcribed accurately. One of the biggest pluses, especially for a web-based CRM, is their customer service, which is top-notch. I'm admittedly a little bit of a high-maintenance client, especially with new software, and these guys are right on top of it. I think I currently have four different customer service reps patiently answering different questions from me - usually on questions that can be found in the "Help" section if I really looked, but they don't mind taking the time, it seems, and I appreciate that. There are a few small features that are still in the works, but none of them really inhibit the usability of the software. For example, when you click-to-call a number out of the database, and it logs the call, it doesn't actually log which specific phone number the call was sent or received to - just the lead. That said, an easy fix is just to copy/paste the phone numbers into the notes field as you go, voila problem solved. The only issues I've had with the software are like that - easy workarounds. Plus, I'm pretty confident they'll get any little wrinkles ironed out - they're very receptive to user feedback and feature requests. They give a 30-day free trial with a full-service version up front. If you're considering using it, there's no reason not to give it a shot. Implementation and customization is really easy and straightforward, once you start clicking around in it you'll be off in no time, especially if you're familiar with using CRMs in general. Optimized my sales process to an extremely high level, better than ever. I'm able to make substantially more calls more quickly and easily track all of them. Saving the time of inputting notes (because it automatically logs EVERYTHING, calls/emails/texts whatever) is a convenience I wasn't looking for, but now that I have it I doubt I'll ever give it up. Solved a problem I didn't know I had, in a word. "Customizable and easy to understand"
I'm pleased with the versatility of the fields and options that can be selected and how few limits there are to smart lists. You aren't fit into a box or a single process line. You can do what you want with it. There are some mandatory fields that can create clutter. The map view of client accounts is only available via the phone mobile app and the logging tools are really only great for virtual contact, not logging onsite visits. Keep it simple! Clutter fields prevent employees from using it and while the idea of having a lot of data may seem nice, it doesn't really help utilization. Too many fields, pipelines, etc... makes everything very difficult for the average user to find what they need. We are using Base for account management for subscription based services and for our retention policies. The simplicity of the software allows us to re-purpose linear start to finish work with open ended maintenance quite easily. Base CRM is a great CRM, has a great phone app and the sync is unmatched from my experience with CRM’s. Base is a verey robust CRM and affordable, as in the free version. I have used Base CRM for many years and from CRM"s outside of my industry I have found Base CRM to be the easiest to use and the most mobile friendly app, both for iPhone and for Android. I would like to see better options in Base CRM but every CRM has its quirks so I really can say that this is a fabulous CRM. I was never happy that every time someone called me Base would want to know what to do with the call. I think that's a good feature on an auto-dialer or the like but not on a personal cell phone. Perhaps Base CRM can introduce an alternative feature like a "decide later" what to do with previous calls. I think that would enhance the app and make it awesome for on the go sales warriors. I am solving automation and mainstreaming of my sales cycle by using this fabulous CRM of Base CRM which really helps my business. I hope Base CRM will introduce an alternative feature like a "decide later" what to do with previous calls. I think that would enhance the app and make it awesome for on the go sales warriors. I am solving automation and mainstreaming of my sales cycle by using this fabulous CRM of Base CRM which really helps my business. Prospecting is much easier by using Base CRM. By using Base CRM I improve my prospecting and I'm able to fill my pipeline in a more efficient manner. Using Base CRM also allows my team members to view activity and track sales. By utilizing Base CRM to it's fullest potential we can truly move into 2018 with a competitive edge in sales and marketing. * We monitor all Zendesk Sell reviews to prevent fraudulent reviews and keep review quality high. We do not post reviews by company employees or direct competitors. Validated reviews require the user to submit a screenshot of the product containing their user ID, in order to verify a user is an actual user of the product. Hi there! Are you looking to implement a solution like Zendesk Sell?